Cannabidiol, commonly known as CBD, is an extract from hemp that does not get you high. This means that CBD can be used as a safe and effective food supplement, and is gaining ground as a valid medication with multiple purposes, from preventing seizures to reducing psychotic symptoms. Hemp CBD oil is completely legal, and available as an oral extract, tablet or isolate powder. Is CBD Different To THC? The two main cannabinoids (there are over 100 in total) in the cannabis plant are THC and CBD. Decades ago research showed that THC, one of the active compounds in the cannabis plant, may help to treat pain, nausea, insomnia and a range of other problems. CBD was considered to play a less important role, and was largely ignored. The only problem was THC gets you high. Recreational cannabis users may want to get high, but many medical users want to experience the benefits without any psychoactive effects. The fact that THC has an impact on the mind also created a difficult scenario for scientists. It was difficult to study the effects of THC without legal problems. In recent years the focus has shifted towards CBD, the non-psychoactive cannabinoid. CBD is found in high quantities in the hemp plant, and has no effect on the mind. Hemp has a very low amount of THC (less than 0.3%), and so CBD oil products made from hemp have absolutely no effect on the mind. Both CBD and THC interact with the body through the endocannabinoid system. This system is responsible for regulating the body in all different kinds of ways, including pain, immune responses, appetite, mood and sleep. 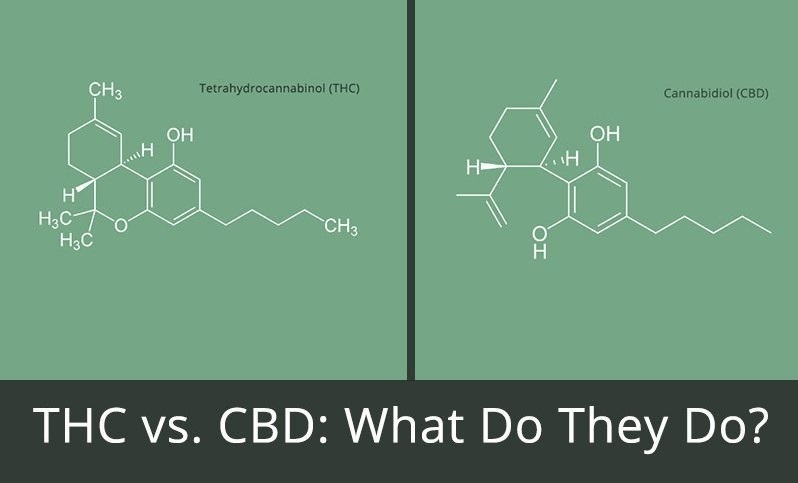 CBD and THC have the same chemical composition, but with different atomic arrangements. It is this difference in atomic structure which changes the way in which the two compounds interact with the cannabinoid receptors in the body. THC activates the cannabinoid 1 receptors (CB1) in the brain, as well as CB2. It is the activation of this receptor that creates psychoactive outcomes, aka ‘feeling high’. CBD, on the other hand, doesn’t bind with CB1 or CB2 receptors, and therefore has no psychoactive properties. CBD even acts to suppress the activity of these receptors, and is therefore actively anti-psychotic. If all of this scientific talk is too much for you, just remember this – CBD made from hemp oil does not get you high. You can enjoy the medical benefits without any psychoactive effects. THC derived from cannabis is a controlled substance under federal law. State legislation has been created for the medical use of THC in 29 states and Washington DC. The legality of THC therefore remains something of a grey area, though each state has its own regulation policies. As CBD made from hemp has been shown to have no psychoactive properties, it is legal in all 50 states. This means that anyone in America can legally buy CBD hemp products for medical or supplementary use. The legality of CBD, and the fact that it doesn’t get you high, also had political and scientific benefits, leading to an explosion of research into the medical benefits, as well as helping to turn the tides of public opinion on medical cannabis. Though it is early days when it comes to our knowledge of CBD and its true potential, a mountain of research suggests numerous health benefits and medical applications for hemp CBD oil products. CBD has been linked to a reduction in the intensity and frequency of seizures in epilepsy sufferers, reduced psychotic symptoms in schizophrenia patients, and has even been shown to block cancer cells from metastasising. 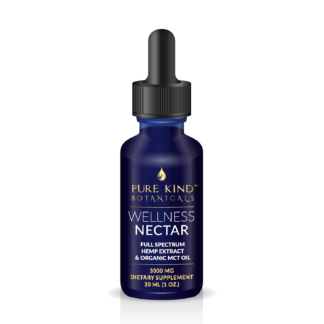 As well as having specific medical benefits, CBD also has anti-inflammatory and anti-oxidant qualities, and plays a role in the growth and regulation of neurons and neurotransmitters. All without any psychoactive effect!